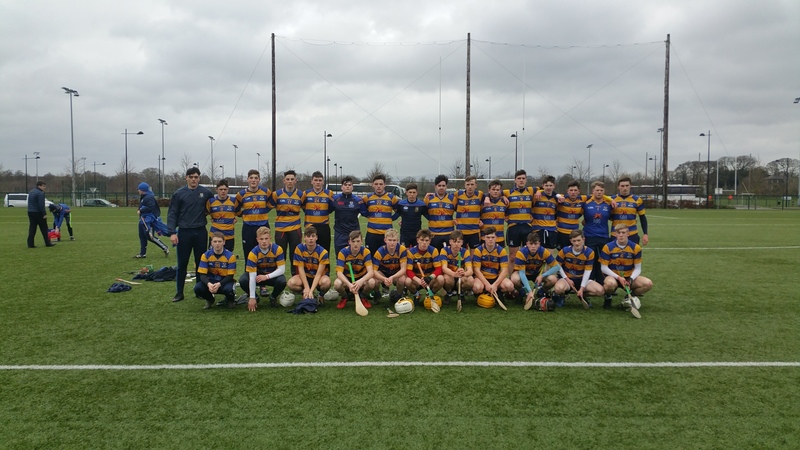 On Tuesday January 9th, CCS met neighbours Abbey CBS in the Munster Senior B 1/4 final in Golden. In very wet conditions, which caused the field to cut up badly, both sides gave the crowd great entertainment with massive honesty, commitment and super hurling. After playing with the aid of the breeze Cashel led 0.3 to 0.1 at half time. 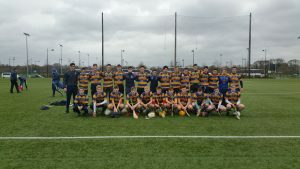 Abbey CBS drew level shortly after the resumption and with the wind at their backs kicked on to lead by a single point on 3 occasions but CCS refused to buckle and came back to level on each occasion. With time almost up, Abbey CBS led by one point, but Murragh Mc Dermott held his nerve to score a great equaliser for CCS. Cashel were not finished and after the final attack had a goal by Riain Quigley ruled out for a square ball. With the score at 7points all, both sides returned to the dressing rooms to get ready for extra time. However the persistent rain now became even heavier and the referee decided not to play extra time, with the large crowd feeling a draw was a fair result after an enthralling encounter. CCS had huge performances all over the field in the bad conditions with the defence as a unit holding Abbey CBS to only one point from play. Young corner backs Conor O Dwyer and Ben Loughman were outstanding, while McDermott and James Kirby in midfield put in big shifts. On a day that was never going to suit forwards, Mossy Skeffington, Liam McGrath and Mark Downey were to the fore. The two outstanding players on the field were both centre backs, with Eoghan Connolly for Cashel and Niall Heffernan for the Abbey CBS side both putting in huge performances. The replay took both teams to UL only three days later on Friday Jan 12th. The astro turf field was always going to lead to a very different game and crowd were not to be disappointed. CCS decided to attack Abbey from the off and moved captain Eoghan Connolly up to centre forward. This gamble paid off with Connolly scoring four super points in the first half. Ross Bonner who went from centre to corner forward scoring four more points and Mark Downey going back centre back and clearing ball after ball. Having again played with the wind, Cashel led 1.9 to 0.5 at half time with corner forward Aaron Moloney scoring the goal. As in the drawn game Abbey CBS, aided by the strengthening breeze, took over and closed the gap immediately. With eight mins left the Tipp Town school equalised, 1.10 each. Huge leadership and composure was needed now, and the Cashel lads stepped up. Aaron Browne in goals made some outstanding saves and John Ryan at full back was brilliant, with the young corner backs O Dwyer and Loughman again standing tall. Shane Farrell at wing back was excellent and Connolly was now back at No. 6 and winning a lot of ball. Mark Downey attacked to score a great point and Bonner chipped in with two great points also. The vital score came from full forward Riain Quigley, finishing a good team move to the Abbey net with four mins left. 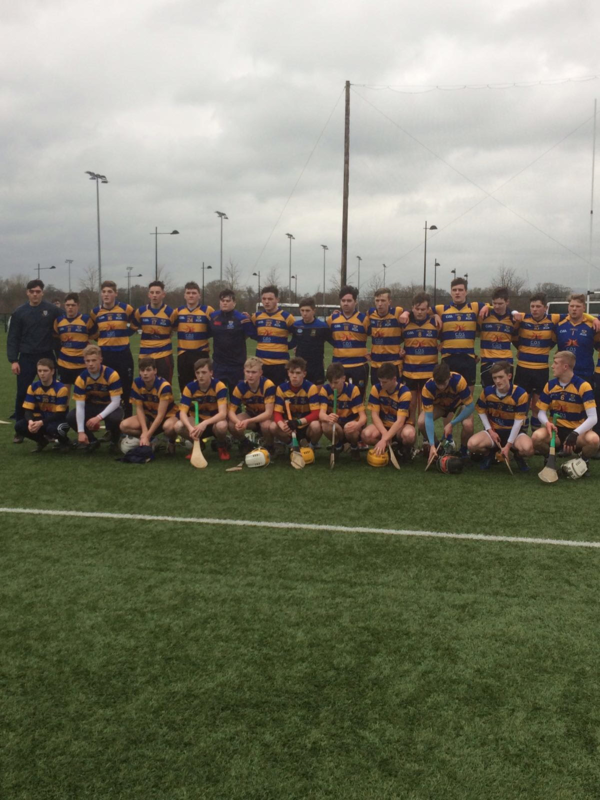 With fresh legs introduced, CCS had finished strong to win 2.14 to 1.12 after another brilliant game of hurling from two excellent Tipperary sides. Huge credit must go to the entire CCS panel, who worked ferociously hard over the Christmas break to be ready for this challenge, and displayed huge work rate, hunger, discipline and no little skill over the two games. CCS had huge support from families, past pupils and local clubs which both the mentors and players greatly appreciated. Cashel now play Bandon, who like Abbey CBS, were in the Harty Cup last year. This Munster Semi-Final is fixed for Saturday January 27th. Venue to be confirmed. Team: Aaron Browne.Conor O Dwyer, John Ryan, Ben Loughman, Shane Farrell, Mark Downey, Brian Og Dwyer, Murragh McDermott, James Kirby, Liam McGrath, Eoghan Connolly, Mossy Skeffington, Aaron Moloney, Riain Quigley, Ross Bonner. Subs used Colm Moloney,Adam Skeffington, Mark Casey and Niall O Dwyer. Also Chris Geraghty, Seanie O Connell, Derry Ormande, Jack O Rourke, Ciaran Lonergan, Ml Morissey, F O Donoghue, Conor Lowth and Jack Ryan.